AMMONNEWS - Jordan and Syria are inching slowly towards restoring normal ties after more than seven years of tension and diplomatic face-offs. On October 15, the two countries reopened the strategic Jaber-Nassib border crossing three years after Amman closed the border permanently when the Syrian side was overrun by insurgents. The reopening took place without pomp and ceremony following weeks of technical discussions by the two governments. Both sides have their own reasons for embracing the move. Syrian government troops recaptured the border crossing last July and almost immediately representatives of Jordan’s private sector called for steps to rehabilitate the border crossing so that it can reopen as soon as possible. For the Syrian side the liberation of most of south-western Syria from rebel groups was celebrated as a major victory in the seven-year civil war. Damascus hoped that the reopening of the borders with Jordan would be seen as recognition by Syria’s neighbours of the legitimacy of the regime and a step towards restoring full political ties. But Amman was hesitant to give the move a symbolic political meaning. The war in Syria is far from over and the international community remains divided over the future of President Bashar Al Assad. Jordan was accused by Damascus of aiding and arming Syrian rebels and of coordinating with US and Gulf states to unsettle the Syrian regime. Jordan had rejected these claims and insisted that only a political solution could end the crisis in Syria. Jordan had kept the Syrian embassy in Amman open and maintained its diplomatic mission in Damascus. Even when Jordan expelled the Syrian ambassador in Amman in 2014 for his verbal attacks on the kingdom, it claimed that security officials on both sides of the borders continued to coordinate. It also said that its backing of moderate elements of insurgents in Syria’s south was meant to confront threats by Daesh (the self-proclaimed Islamic State of Iraq and the Levant) and was not directed at the Syrian government. Amman had resisted pressure to reopen the borders after Syrian rebels had taken over. It insisted that it would only do so when the Syrian government regained control on the other side. The Jaber-Nassib border crossing is a vital commercial artery not only for both countries, but for the region as whole. Before the eruption of the Syrian crisis it was estimated that $2 billion (Dh7.34 billion) worth of goods passed through the border annually in transit trade. Bilateral trade is important for Jordan and Syria, but Amman wants to use Syrian territory to reach Lebanon, Turkey and EU markets. For Syria and Lebanon, the border crossing allows goods to reach the lucrative Gulf markets overland. Instability in both Iraq and Syria had led to the closing of Jordan’s borders with both countries until recently. The Jordanian economy lost billions of dollars over the past seven years as a result. Adding to Jordan’s woes is the fact that it is hosting more than 600,000 Syrian refugees, which had cost the local treasury more than $10 billion since 2011. The overland freight sector in Jordan has lost more than $1.5 billion since the closure of borders with Iraq and Syria. Jordan’s private sector hopes that the reopening of the borders will give the kingdom a considerable share in the future reconstruction of Syria. For the Jordanian government, the move could entice Syrian refugees to choose to return voluntarily to Syria. So far a few hundred of them have chosen to do so. While trade is the perfect excuse for both governments to inch closer together, full normalisation is not expected to happen overnight. 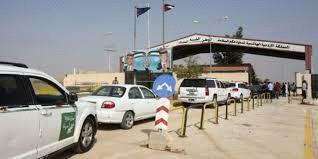 Jordanian officials have avoided making political statements regarding the reopening of the borders. So far, private sector representatives have taken the initiative and begun forming delegations to visit Damascus. They have reported that they have been received warmly by Syrian officials who have expressed a desire to turn over a new page in bilateral ties. For now Jordan hopes that the reopening of the borders with Syria will revive its sagging economy. In the first week alone, hundreds of Jordanian vehicles crossed into Syria and came back loaded with essential goods that cost at least 50 per cent less than in the kingdom. It will take some time to see if Jordanian exporters will benefit from the breakthrough as now they can reach Mediterranean ports in both Lebanon and Syria. Full normalisation of bilateral ties will depend on Russia’s ability to hammer out a political settlement that will be accepted by all Syrians and the international community. That objective remains elusive and Amman will be watching Moscow’s next moves — especially in Idlib and beyond. But rehabilitating the Syrian regime will take some time. Meanwhile, the Jordanian government is happy to give the private sector the lead in doing business with the Syrian side.